It’s great to see how businesses in Gloucester are really getting behind the Gloucester BID to improve the centre of our county’s administrative city. Not before time you might say and many would agree with that sentiment. But we must give credit where credit is due for the BID board who have made it happen and the drive from Marketing Gloucester. 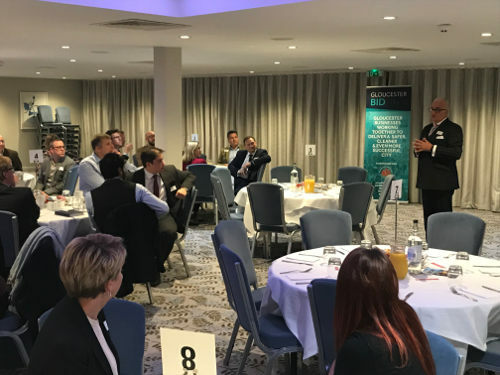 On the first birthday of the BID - it stands for Business Improvement District - Business West held a business networking breakfast at the Bowden Hall Hotel, Upton St Leonards, to mark the BID’s first birthday. 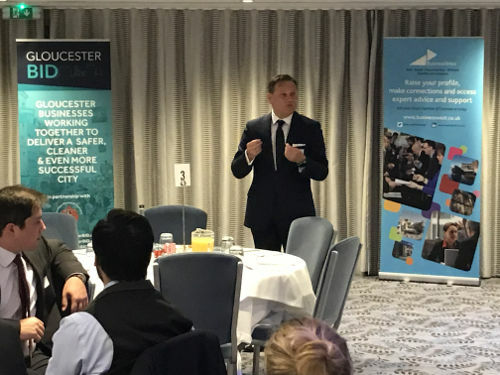 I wanted to give a platform to Jason Smith, chief executive of Marketing Gloucester and the BID board members to say a big thankyou for their efforts and spread the word about what they are all doing as a team to improve Gloucester’s city centre. Led by BID chairman Nick Brookes it is remarkable that in just a year they have more than 500 members signed up and contributing to the cash pot of £500,000 which has been topped up by the city council and the Police Commissioner. Perhaps the most visible evidence of this BID cash are the City Protection Officers (CPOs), who have formed close links with the police and give you a feel of safety around the shops. Security and the feel that the city is getting safer is important, but equally is the need to market Gloucester and this is where BID cash has also been used to good effect to publicise events and help to make Gloucester the destination it now is. Much of the credit here must, of course, go to Peel, owner of Gloucester Quays, who continue to put their money where their mouth is in terms of staging events. I do sense that the early success of the BID is symptomatic of a definite feeling in the city that Gloucester is on the up. We must ensure that momentum continues.